Trailer Guide: Thoughts on Selecting, Designing, Building, Equiping and Maintaining a Disaster Response Trailer. ​"We want to get a trailer so we can keep equipment we use for disaster response all together and get it to where we need to help out. What do we look for in selecting a good trailer? How do we design it so that it effectively and efficiently stores and transports our equipment? What should we get for equipment? How do we maintain the trailer and equipment once we get it?" 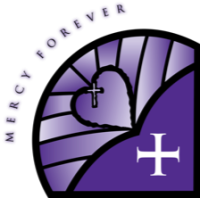 Mercy in Action Disaster Resources has compiled this Guide to answer these, and many more, questions and concerns. The Guide was created from their experience in putting a trailer together for their church's Disaster Response Ministry, from looking at dozens of disaster response trailers, and from input from other teams. Download a copy of this easy-to-read and informative Trailer Guide. A "Flood Bucket" is a simple and effective way to put some basic cleaning supplies and devotional materials into the hands of people whose homes have been damaged by a flood or water intrusion. Learn how your church or group can supply and build buckets for distribution. A "Prayer Shawl" is a hand-knitted small afgahan that groups can make to give to those needing comfort - victims of disaster, abuse, injury and illness - to remind them of God wrapping them in His love. The guide from FEMA provides recommendations in the development of plans not only to respond to an emergency, but also outline how organizations can plan for preventing, protecting against, mitigating the impact of and recovering from these emergencies. The guide introduces houses of worship to a new approach to planning, that includes walking through different emergency scenarios to create a course of action for each objective the team is trying to accomplish. Disaster work is hot and dirty work. Volunteers often work 12 or more hours, coming home exhausted, needing a shower to clean up and refresh. Most churches that house volunteers do not have shower facilities, forcing volunteers to go off-site to shower. Volunteers staying and working for several day could use clean clothes. Work on muck-out jobs leaves volunteers convered in mold and other contaminants. Both they and their clothes need cleaning before coming into a clean church. Having a shower trailer, a laundry trailer, or a combination shower and laundry trailer available provides a much needed service to our volunteers. The trailer can also serve the community, enabling diaster victims to clean up or wash clothes. This discussion paper provides some ideas on how your church can provide a valuable ministry of support during a disaster. So you have been given the assignment of being your District's Disaster Response Coordinator (DDRC). Congratulations! What does that mean? It literally means you are the person in charge, it is your responsibility to make sure your District is ready for and responds to a disaster in appropriate and effective ways. It can involve a significant amount of time and energy. Whether you are a district staff person assigned this responsibility as one of your many, a parish pastor trying to lead a congregation and “volun-told”, or a lay person who has been asked to fill this role, this can be a heavy responsibility. But does it need to be? While you are the only person in your District with that title and responsibility, it does not mean that you are alone or have to do it all on your own. This article provides information on how you share the workload (Exodus 18) and develop a plan. I'm A DDRC. Now What? Managing a disaster response is a challenge. 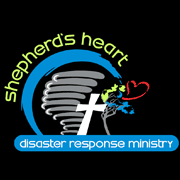 To do it well one must have an understanding of disaster response and the Church's role in it. There are many facets involved with establishing and running a bolunteer base, managing volunteers and jobs, providing appropriate documentation, and interacting with many response partners. This document provides a general job description for the position of Response Incident Commander, the person in charge of a local response. Thoughts on Quickly Responding to a Disaster, or Waiting Until it is Safe. Conventional wisdom says that it is best to wait to go into a disaster area, to wait until it is "safe" for volunteers. Waiting gives disaster leaders time and opportunity to assess and plan the response. In the last few years this "wisdom" has been challenged as emergency managers see the value of letting cleanup volunteers in early, and faith-based disaster response groups seeing greater opportunity to serve victims of disasters and share the love of Christ during the period of crisis. "We do not need a disaster response plan. We'll figure out what we'll do after we assess the situation and confer with others." Dr. Phil McGraw, on his popular television show, is fond of saying, "You cannot wait until a crisis to plan for a crisis." If your District does not yet have a plan to address various disasters that occur, waiting until a disaster occurs is not the time to try to figure out what you will do. Often times, not having a plan in place prior to a disaster is a recipe for a delayed or lackluster response at best, or no response at worst. This paper discusses the need for a disaster response plan, and provides steps and guidance on how to prepare one. Following a natural disaster assessments need to be done to determine the extent of damage so specific response plans can be implemented. Additionally, assessment of specific home properties to determine the type of work needing to be done, equipment needed, the skill level of a volunteer response team, and getting the "Homeowner's Request for Volunteer Assistance" job form signed. This presentation gives an overview of both types of assessments. This is a great ministry opportunity for team members who may not be able to do the cleanup physical labor.